Nepal has been recording heavy rains for the past few days. In fact, many cities of the country also recorded three digit rainfall activities. 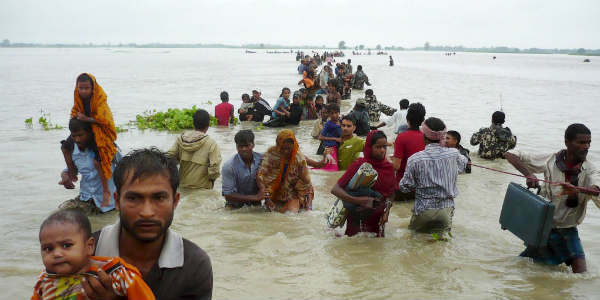 These rains were occurring due to the axis of Monsoon trough which was running across the foothills of the Himalayas, which is in very close vicinity to Nepal. These hefty showers triggered floods in many parts of the state. 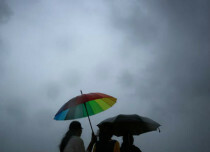 In fact, due to bad weather conditions, the Kailash Mansarovar Yatra had to be halted. With this, many people have got strangled in the way between. The rescue operations have been stopped in between as the weather conditions are still not favourable. Though, rain intensity has reduced in the last 24 hours as the axis of Monsoon trough has shifted downward. In the last 24 hours from 8:30 am on Tuesday, Pokhra recorded 64 mm of rains followed by Taplejung at 35 mm, Dhangadi 16 mm, Dhankuta at 12 mm, Nepalganj 11 mm, Dang 4 mm, Simra 3 mm and Kathmandu 2 mm of rains. 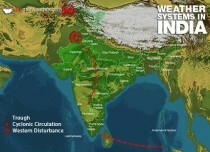 As per Skymet Weather, the axis of Monsoon trough has shifted downwards from the foothills of Himalayas. 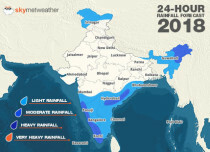 Therefore, rain intensity is expected to reduce further over Nepal. Henceforth, rescue operations will get back on track now.